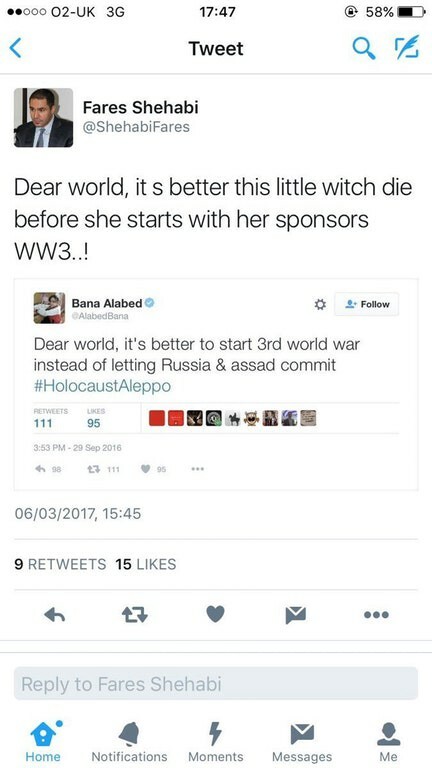 The plight of Bana al-Abed and her family broadcast via Twitter as Bashar al-Assad’s regime re-took Aleppo from moderate and Islamist rebels in late 2016 captured the world’s attention and sympathy. 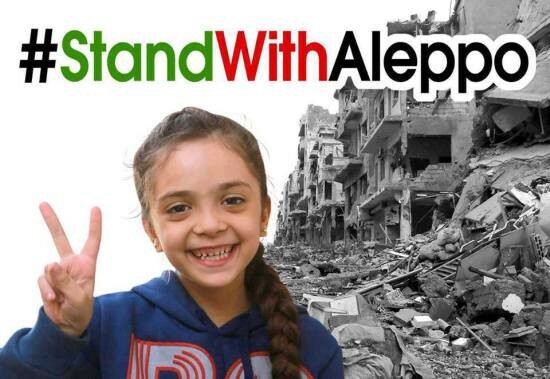 #StandWithAleppo is the first and really only successful hashtag campaign waged by supporters of the Syrian revolution. Time magazine recently named her one of the internet’s 25 most influential people and Assad supporters have responded with an ‘exposé’ attacking her and her family filmed from the premises of the house they were forced to flee to avoid being killed. Big Lie #1: Bana’s Area Bombed Because Al-Qaeda Nearby! 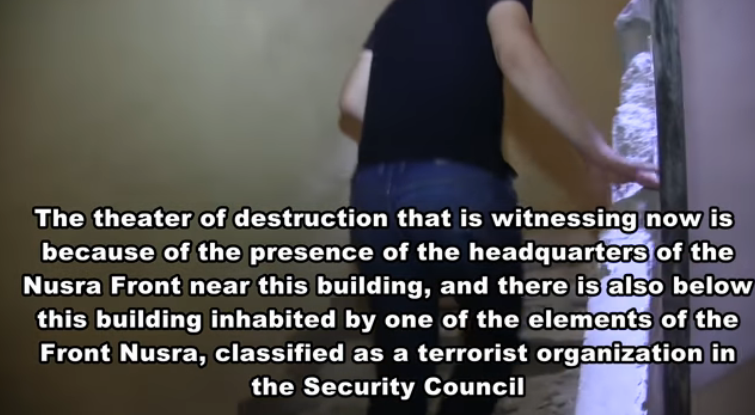 According to the video’s fake news crew, Bana’s area was bombed because she just happened to live near the headquarters of Nusra Front (meaning Al-Qaeda). Unfortunately for team Assad, the United Nations released a map based on satellite data proving that the regime and Russia bombed and shelled over half the city indiscriminately. 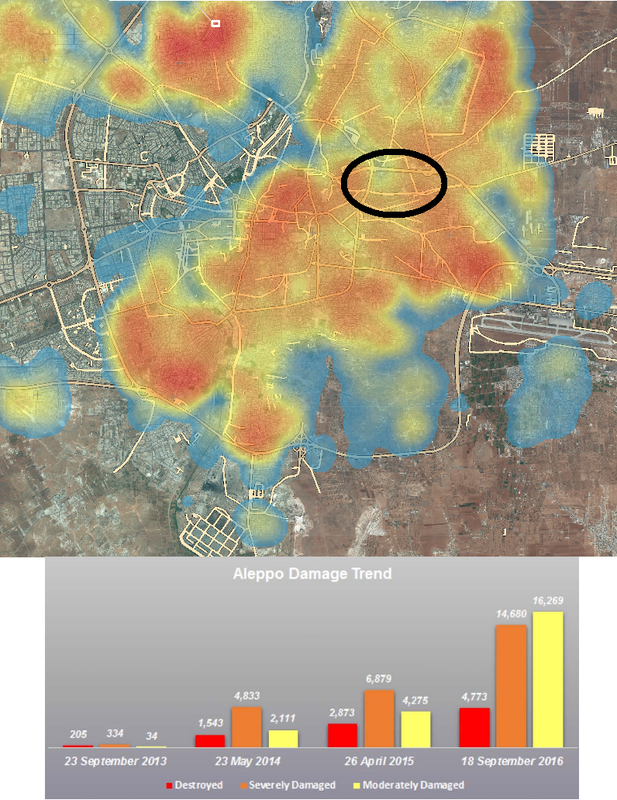 The black circle on the map below is Bana’s neighborhood, al-Shaar. Intentional and indiscriminate bombing of civilian areas even where terrorists (or ‘terrorists’) are present is illegal under international law — in other words, a war crime. 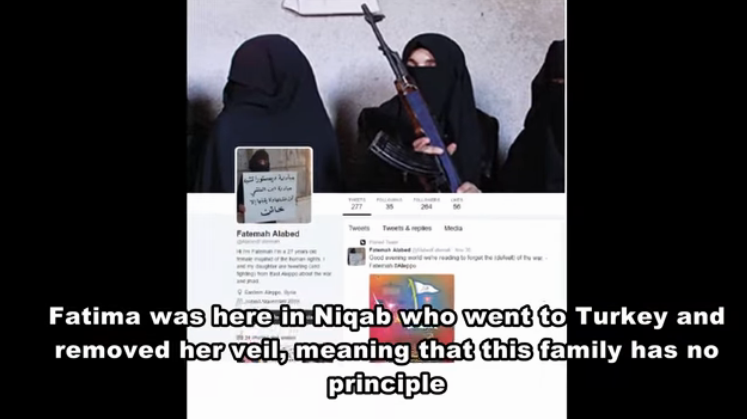 Big Lie #2: Bana’s Dad Worked with ISIS! 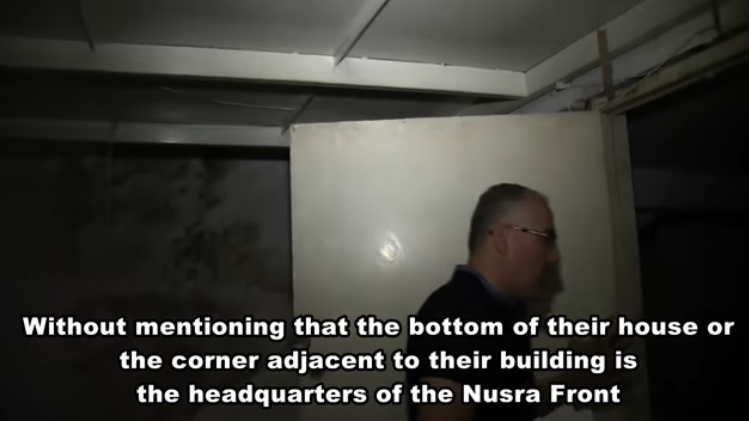 Throughout the video, the fake news crew sifts through the rubble in Bana’s house and magically produces dust-free documents to ‘prove’ this or that claim about her father Ghassan who was a lawyer for the rebel judiciary working under the democratically elected Aleppo council. They claim that Ghassan worked with ISIS in February 2015 — which is stupid because rebels kicked ISIS out of Aleppo city a year prior in January 2014 never to return. This is elementary knowledge to anyone who has been following the war’s development. 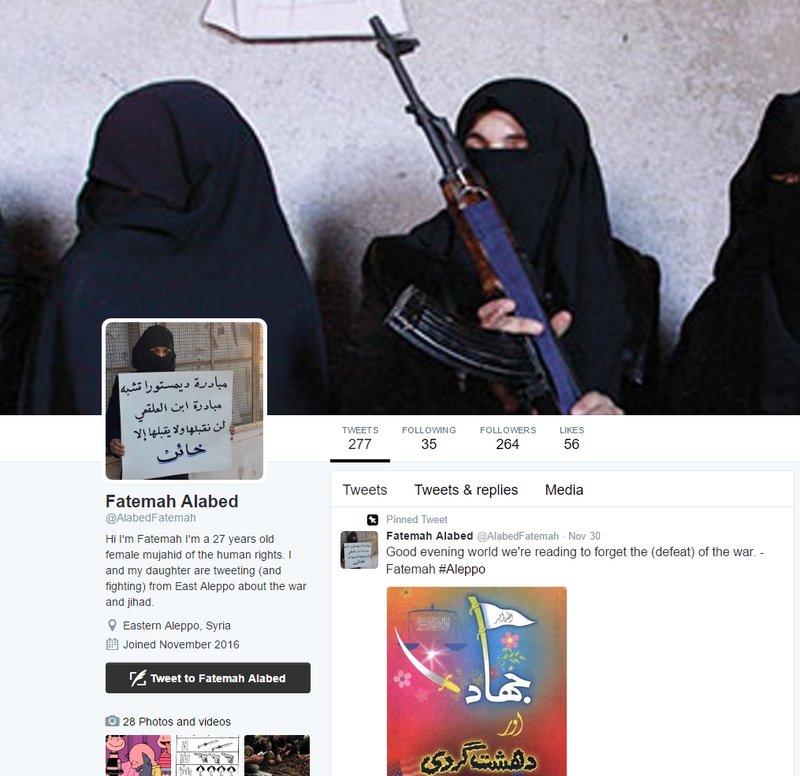 Big Lie #3: Bana’s Mom Is a Twitter Troll Impersonator Posting Islamophobic Bile! This exposé does expose one thing: Assad supporters still can’t let go of the fact that they were unable to kill Bana and her family for broadcasting the regime’s war crimes in real time. Like President Trump, they are sore winners easily triggered by legitimate criticism. French President Emmanuel Macron has said that Assad is the enemy of the Syrian people and not the French people, but he is wrong. Any regime out to torture and kill children is an enemy of all people regardless of nationality, ethnicity, or religion.